One of two remaining premium sponsorship opportunities will guarantee your seat at this marquee event. Join in the celebration with 500+ builders and industry professionals! Sponsor the Ovation Awards, and gain access to the industry’s top builders, designers and renovators! O-Lounge After Party Sponsor (have your brand featured as the host of the celebratory part of the Gala). Contact Wendy McNeil for information (wendy@havan.ca; 778-373-9781). 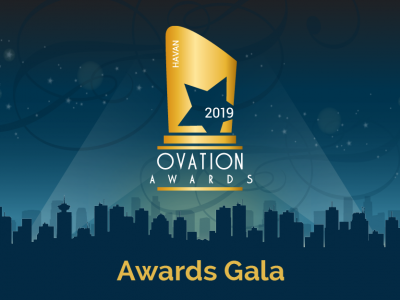 The 2019 HAVAN Ovation Award winners will be announced on Saturday, May 4 at the JW Marriott Parq Vancouver Hotel. Gala tickets are on sale now, exclusively to the entrants, associates and sponsors of this year’s awards due to the event expecting to be sold-out again this year. If you are not an entrant or sponsor but are interested in attending, contact Justine Nadia (justine@havan.ca; 778-373-9788) to be placed on the wait list – no guarantees. Ovation Awards Finalists and sponsors!